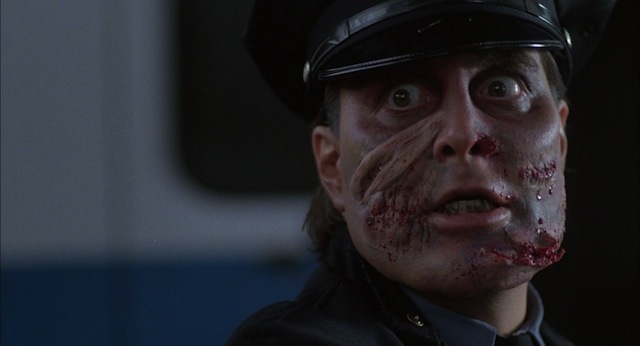 Twitch reports Hyams, who directed the incredible Universal Soldier: Day of Reckoning is going to helm a remake of the 1988 cult classic Maniac Cop. Normally I’m not so stoked to see a movie I adore get remade, but in Hyams’ hands, it is still in that low-budget, gritty DTV ream I so love, which is nice. Add the fact that Only God Forgives director Refn is on board to produce, and noted comic book writer Ed Brubaker (Daredevil, CaptainAmerica, Iron Fist, and tons more) handling the script, there is so much to get excited about here. That’s all the details there are right now, but goddamn that’s more than enough to get me pumped the hell up.